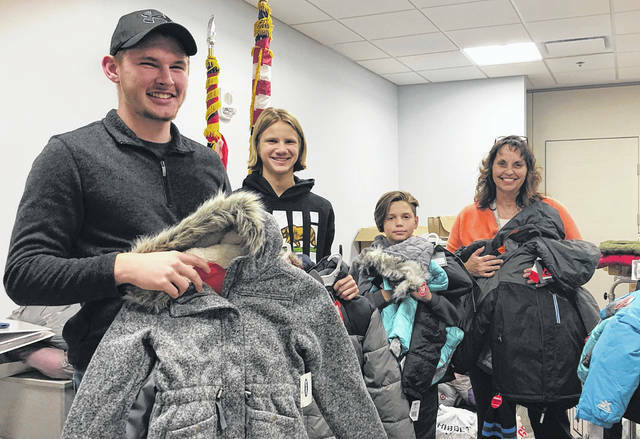 Justin Draise, Isaac Crawford, Deacon Crawford and Stephanie Draise sort through and prepare to deliver more than 1,000 new coats purchased by Adena caregivers for area school children. Each year, the need among children in communities grows greater; and each year, Adena Health System caregivers step up to meet that need. This year, more than 1,000 local children were presented to Adena’s annual Coats for Kids drive as being in need of a winter coat. Thanks to the generosity of Adena caregivers, every child on the list received a brand-new coat to keep them warm this winter, including one very appreciative Tiffin Elementary fifth-grade student. Since the health system began collecting coats in 2007, Adena caregivers have provided nearly 11,000 coats to children through the program. Coats are collected, sorted and delivered by caregivers, volunteers and their families. For more about Adena Health System and its services, visit adena.org or follow it on Facebook, Instagram, or Twitter @adenamedical.